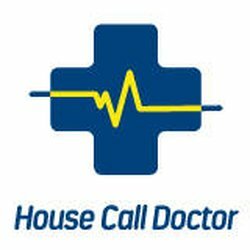 What locations does House Call Doctor service? 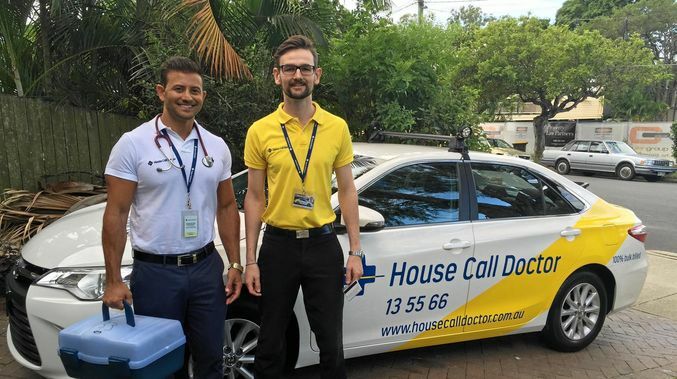 House Call Doctor began its after-hours medical service in Hervey Bay and Bundaberg in April 2015 and has now expanded to having more than 1200 doctors and 40 cars. House Call Doctor services 16 locations in Queensland and New South Wales. The service is completely bulk billed for people with Medicare and DVA cards. Doctors can treat cold and flu symptoms, general illnesses, minor lacerations, trauma requiring stiches, animal bites and severe pain. People can book an after-hours doctor simply, through the website, by downloading the app or by calling 13 55 66. House Call Doctor services the almost two million residents of the River City, reducing strain on hospital emergency departments. One of the original House Call Doctor locations, a home doctor can visit you at your home, hotel or aged care home if you’re in Bundaberg. House Call Doctor provides an essential service where residents and visitors of Far North Queensland can book a home doctor. For when you’re feeling at your worst, home doctors in Gladstone can provide after-hours medical help. For the many residents and visitors to the tourist strip, House Call Doctor can visit you at your home, hotel, resort, aged care home or even a campsite. Regional Queensland is serviced by House Call Doctor with residents in Gympie’s surrounding areas serviced by House Call Doctor. House Call Doctor provides after-hours doctors to people in Hervey Bay. Since August 2016, House Call Doctor has provided home doctor services to the people of Ipswich. To keep the residents of Mackay healthy, House Call Doctor provides home doctor services after-hours for those who need urgent medical care. Home doctors are important to the residents of Maryborough as they provide essential after-hours care. The residents of Rockhampton and surrounding areas have benefitted from access to House Call Doctor services since July 2015. House Call Doctors provide healthcare to residents and visitors in this popular holiday destination. Toowoomba residents have had access to after-hours home doctor services since July 2015. House Call Doctors visit multiple suburbs in the Townsville region, helping to provide essential after-hours care to residents. Tweed Heads is the first city in New South Wales to be serviced by House Call Doctor. Residents from Tweed Heads to Kingscliff can use this service which has been in operation in the area since December 2016. House Call Doctor is available in the Wide Bay region to help provide medical care for those who need it. Here at House Call Doctor we have over 1200 doctors committed to providing high quality after-hours medical care to patients in their homes. The Royal Australian College of General Practitioners (RACGP) has accredited House Call Doctor to provide home doctors as a medical deputising service. We employ doctors who are fully qualified and registered with the Australian Health Practitioner Regulation Agency (AHPRA) meeting the requirements of Medical Board of Australia. Our doctors are supported by our highly reputable panel of Medical Directors which look after issues of clinical governance. Our doctors come from diverse backgrounds, from countries including Australia, Canada, China, India, Ireland, New Zealand, Pakistan, Singapore, United Kingdom and the United States and are focused on providing a high level of care to patients after-hours. We have more than 120 doctors who specialise in general practice. We also have doctors that specialise in the following; paediatrics, geriatrics, obstetrics and gynaecology, general practice and emergency medicine. In our home doctor team at House Call Doctor, we have fellows. We require all our doctors to have at least two years’ experience since their graduation but most of our doctors have at least four years. Working as a home doctor? In 2015, Dr Ryan Harvey joined House Call Doctor and now works as our Assistant Medical Director. He works as a GP at a Brisbane-based clinic and provides medical assistance to people after-hours. He is experienced in paediatrics and has used his medical skills to provide children’s medical care in remote locations around the world. Our doctors agree that working as a home doctor is a different experience to that of working as a general practitioner as you are visiting patients in their homes. As a home doctor you see a range of patients, giving you unique experiences and making it rewarding work. We’re always interested in new doctors joining us at House Call Doctor. You can enjoy the job’s flexibility and better work/life balance. We provide complete administrative support and more, so that you can focus on providing great after-hours patient care. You can book a doctor to come visit you at home through our website, downloading our app or calling 13 55 66. If only sickness was always on time and within the hours of a business day, however, sickness doesn’t stick to a schedule and instead can show up at the most inconvenient time. Yet, thanks to home doctors, this is no longer a problem. These doctors work with patients in their home after-hours – even on weekends – and the best part is they are free of charge for anyone with a valid Medicare or DVA card. This isn’t the first time in history that doctors have treated patients in their own home. In the lead up to World War II, home visits made up nearly half of a Doctor’s dealings with patients. Yet, as we’ve seen technology grow in the medical profession doctors have moved all their consultations to clinics, speciality medical centres, and of course hospitals. This is the medical system all Australians use today. 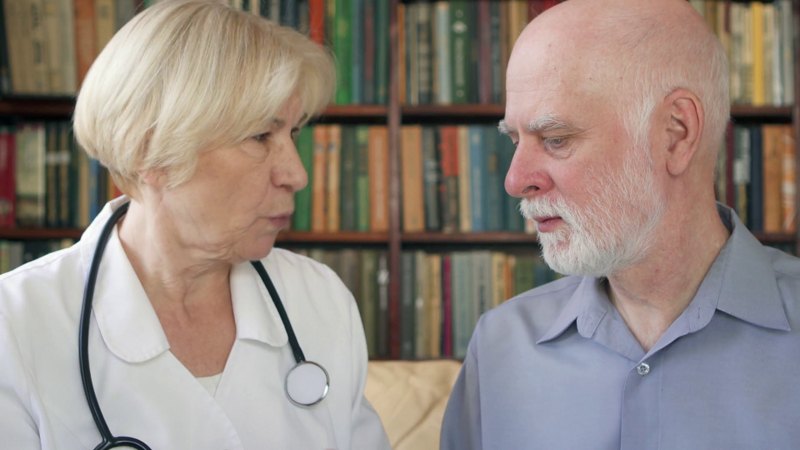 By revising and reworking the old concept of home visiting doctors, trained medical professionals can now make sure people are getting continuity of care day and night. During a home visit, doctors can treat patients who are not able to make it to their GP’s hours, whether that is because of the urgency or the severity of the situation. Anyone can be treated by a home doctor, however, the service is particularly useful for Australia’s most vulnerable (including babies and the elderly). Doctor visits first became less common, patients turned to their local emergency rooms for urgent and reliable care in the event of acute illness. As emergency room visits increased, more pressure was put on hospitals and patients would leave dissatisfied with the care they had received. The Home Doctors realise that some illnesses are too serious to wait for GPs to reopen their doors but are not serious enough to warrant a trip to the hospital. A Home Doctor visit can bridge that gap and make sure you receive the care you need, when you need it, where you are most comfortable. Some of the most common illnesses the home doctors treat include acute respiratory illnesses such as influenza, bronchiolitis, croup, and viruses. Patients with asthma and gastro also call regularly. Home doctors are like regular GPs in the fact that they look at your symptoms, check your temperature, and use the information you tell them to diagnose your illness and help prescribe the best treatment. All house call doctors carry a small amount of medications to help fix acute symptoms, such as vomiting, nausea, diarrhea, and congestion to name a few. This means that your treatment can be started straight away, and you can feel better sooner. Every home doctor is required to send a copy of their consultation notes to your regular doctor or general practitioner to make sure they are aware of what you’re suffering from. Our home doctors treat people, not illnesses, they’re always concerned with making sure you’re happy with your treatment. When should I see a home doctor? Each night, many of our home doctors across the state visit patients with different cases. Whether it be illnesses, infections, or physical injuries – , there are number of varied reasons why a patient can see a home doctor. To help, here a few of the most common reasons we have had patients book a home doctor. A very common reason for patients to seek medical attention is for gastro. As gastro is highly contagious, a patient should be assessed so the appropriate treatment can be provided. This will usually involve fluid replacement (for instance, oral rehydration drinks), while severe cases may require admission to hospital. Though these symptoms usually last 1 – 2 days, you should still consult with a doctor. This is because a common complication with gastro is dehydration which can easily lead to more severe cases. Another reason patients tend to book a home doctor are for pains, sprains, and strains. Common examples we have noticed tend to be acute sprains (often from work related or sporting injuries) and neck, back, or hip pain. •	Limited ability to move the affected area. As well as this, our doctors are often treating patients with intense pain. Although you may believe your pain is minor and does not need to be assessed, you should seek medical attention in case there is serious injury which may require further treatment. •	Feeling numbness near the affected area. If you are showing signs of intense pain, a doctor can advise the appropriate treatment. This can include anti-inflammatory medication, rest, ice, or heat and pain-relieving medication. Alternatively, if the doctor feels it is necessary you can also be referred to an emergency department for further assessment. Skin infections are also a common reason for home doctors to be called. A particularly common type of infection is school sores. This infection is common with children and requires immediate medical assessment as it is highly contagious. Clear symptoms of school sores include red or itchy skin and blisters (mainly around the nose and mouth). If your child is showing any of these symptoms, seek medical attention as soon as possible so the correct treatment can be provided. This can include ointments, creams, or prescription antibiotics.